CITGO employees spread Christmas cheer to Lemont's youth by donating hundreds of new toys to the local Toys for Tots drive. 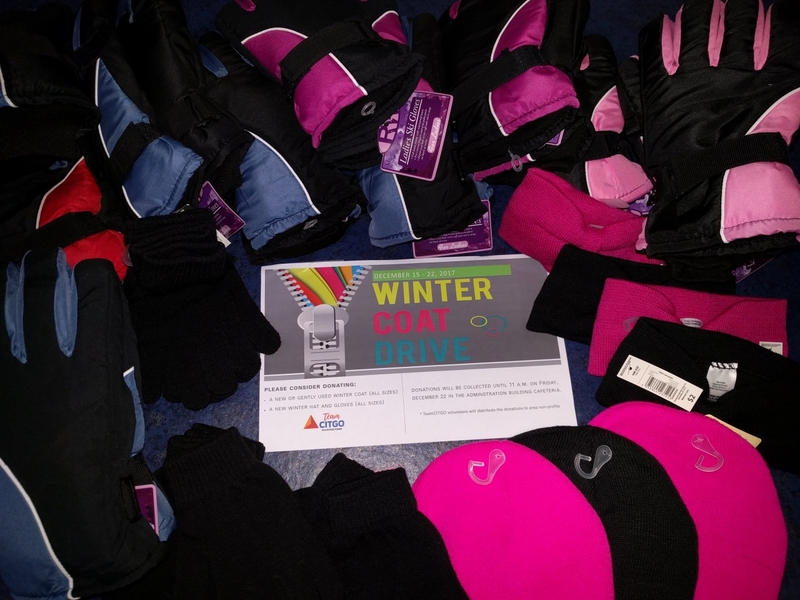 CITGO Lemont Refinery employees organized a coat drive for the local at-risk population. Lemont Refinery employees donated 40 bags and 30 bins of food to local food pantries. LEMONT, Ill., February 1, 2018 /3BL Media/ - During the recent holiday season and extreme winter weather, the CITGO Lemont Refinery generously supported employee-led initiatives to provide food, clothing and toys to local families. Refinery employees lead an annual food drive prior to Thanksgiving to help local organizations fill their shelves before the holidays. This year, employees donated approximately 40 grocery bags and 30 large bins of food and delivered them to six area food pantries including, Bethany Food Pantry, Day Break Shelter, DuPage Township Pantry, Fairmont Food Pantry and Romeoville Community Pantry. 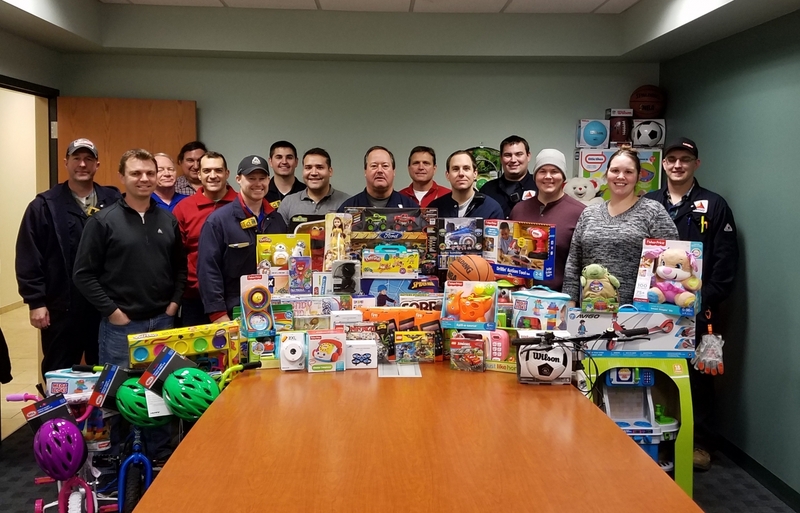 The Lemont Refinery employees also collected hundreds of new toys for the local Toys for Tots campaign for children in need who otherwise would not have received Christmas gifts. In addition, due to December’s extreme temperatures, TeamCITGO volunteers also organized a coat drive for the local at-risk population. In just one week, CITGO employees donated five winter coats and two full bags of winter gloves to the MorningStar Mission in Joliet. Jim Cristman, CITGO Vice President Refining, said it is a privilege for CITGO to be able to give back to the community. “Here at CITGO, we have been blessed with good jobs, as a result, our employees and contractors are always looking for ways to give back. Holiday giving is just one example of how we seek to support our neighbors and be a part of meeting the needs of our community,” he said. For more than 90 years, CITGO Lemont Refinery has employed more than 750 Chicago area residents on a full-time and contract basis in support of the local economy. In addition to producing high quality fuels for a large portion of the network of more than 5,200 locally-owned CITGO stations across the country, Lemont Refinery employees also make a major positive impact on the community. Each year, more than 2,500 volunteer hours and thousands of dollars are given in support of community programs such as Muscular Dystrophy Association, United Way and a variety of environmental and preservation programs. Operations at the Lemont Refinery began in 1925 and a major expansion doubled the facility in 1933. Over the years, new units were added to meet the demand for a better quality of gas for automobiles, aviation fuel for WWII, and the production of asphalt. For more information, visit www.citgorefining.com/Lemont.